Green Environment applies adequate technologies regarding the beneficiary’s and the legislative requirements, ensuring the application of the entire cycle of operations: investigation, design, implementation, monitoring. 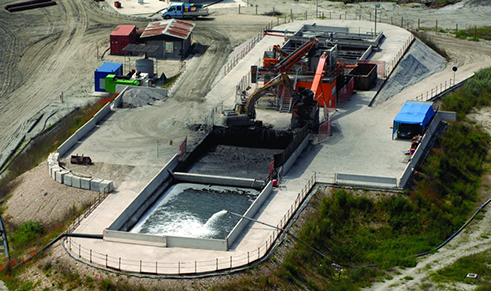 The treatment and recovery of each site is a complex process which requires first a careful investigation, identification of the optimal treatment and remediation method, and then the correct application of the mechanical, physicochemical, thermal or biological remediation procedures, on-site or off site, adapted to each individual type of contamination. 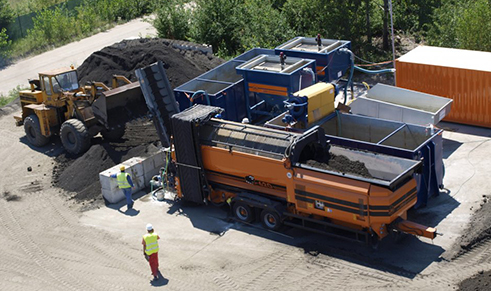 Green Environment ensures the implementation of the entire project in optimum conditions, using mobile or stationary equipment, accomplishing the work on time and fulfilling the specifications requested. 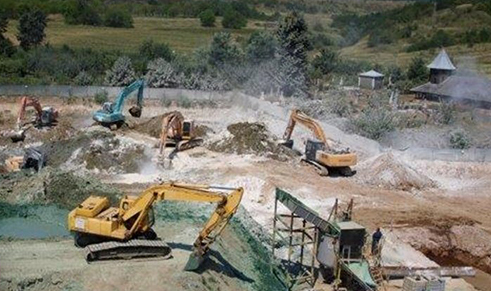 We are specialized in the decontamination of highly polluted soils, in particular with hydrocarbons, chemical waste or acid tars, and in the rehabilitation of soils contaminated with carcinogen soluble chromium. 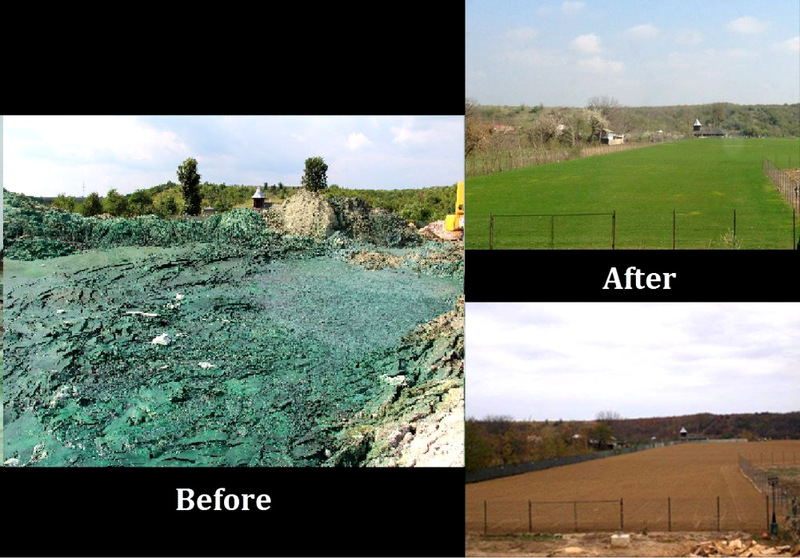 By site remediation, the effects and risks caused by pollutants are minimized, by stopping the pollution connection between the source and receptor, restoring the landscape and reuse of the land. 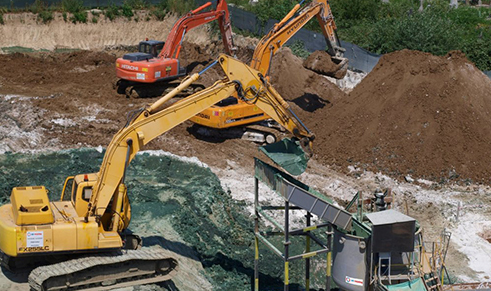 Green Environment undergoes all the necessary stages for the rehabilitation of the site: detailed investigation, identification of remediation technologies, preparing a corrective action plan and the technical report, executing the rehabilitation and ecological reconstruction works and post remediation monitoring.